The Pearl Down Jacket is a beautiful piece of aprés ski wear. The Pearl Down features an iridescent fabric, polydown insulation, and a removable hood that provide added warmth and comfort after a full day on the slopes. 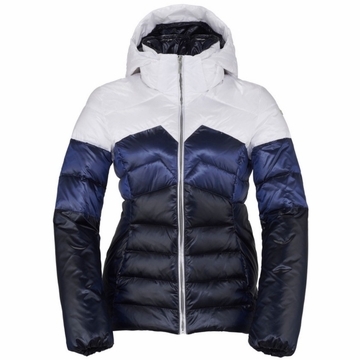 Additionally, the jacket’s flattering fit and quilted look give the Pearl Down added class and style.